Nyakio Kamoche Grieco is the founder of the nyakio™ brand, a collection of beauty products inspired by her family’s secrets and created for all skin types, all ages and all ethnicities. Nyakio is a first-generation American of Kenyan descent. She was born in Buffalo, New York to Kenyan parents and grew up in Oklahoma, spending summers in Kenya. Her father was the Professor of African Studies at the University of Oklahoma, and her mother is Dean of Resources for Learning at Harper College in Palatine, Illinois. Upon graduating with a Business Marketing degree from the University of Oklahoma, Nyakio moved to Los Angeles to work in the entertainment industry. Her career included stints at Creative Artists Agency, Elephant Walk, 3 Arts Entertainment and assistant to the late power agent Jay Maloney. Passionate about beauty from a young age and yearning to be an entrepreneur, Nyakio thoroughly researched the cosmetics industry and realized that many cultures were represented in the world of beauty but that the sophistication of Africa was missing. She decided to not only fill a gap in the market but also honor her heritage by bottling Africa’s timeless beauty traditions. She partnered with Gurwitch Products, a wholly owned subsidiary of Alticor Inc. and owners of Laura Mercier Cosmetics and RéVive Skincare brands. Inspired by her family of medicine men, farmers and educators, Nyakio created the nyakio™ brand to share her family beauty secrets. Nyakio was most influenced by her maternal grandfather, a medicine man, and by her namesake paternal grandmother, who lived on a sustainable coffee and sugarcane farm. Nyakio carefully selects naturally effective African ingredients that have been used by generations for their hydrating, revitalizing, smoothing and anti-aging benefits. Nyakio combines these good-for-you ingredients with modern, result-driven formulas to deliver superb multi-tasking products, formulated without parabens or sulfates. Nyakio’s authentic story and her one-of-a-kind products give everyone an enriching and luxurious experience that leaves skin more youthful-looking. Over the years, Nyakio has formed relationships with celebrities, and her products have become must-haves of Hollywood’s elite. Nyakio lives with her husband David, daughter Lulu, son Rocco and dog Summer in Los Angeles. Nyakio is represented by John Frierson at Creative Artists Agency in Los Angeles. Adele Sypesteyn is a New Orleans-born artist whose architecturally influenced work is distinguished by multiple layers of texture, color and pattern. She draws inspiration from her surroundings, particularly the weathered walls of New Orleans and elements of nature. Her abstract art combines warm textures with aged patinas and writings, and utilizes her unique technique developed over three decades as a practicing artist. Over the past 20 years, Adele has called New Orleans, Seattle and Los Angeles home, working as a full-time artist. Adele obtained her Bachelor of Arts degree in art history with a studio minor from Newcomb College in New Orleans. She also holds a master’s degree in social work from Tulane University in New Orleans. Adele’s work has been displayed in galleries across the country. She has also been featured in world-class magazines, including Veranda and House Beautiful, and her work has adorned the walls of prestigious enterprises such as Neiman Marcus and Saks 5th Avenue. Adele’s latest fascination has been horses, inspiring her Sypesteyn Horse line, which combines photography with her signature abstract technique to bring texture and storyline to these lively pieces of art. In addition to her work, she presently teaches art out of her two studios, in Beverly Hills and in New Orleans, and has developed her own distinct courses to encourage the artist in everyone. In these short-form sessions, students learn basic techniques and walk away with a final masterpiece that can be displayed in their own homes. More information about Adele is available at www.adelesypesteyn.com. Andréa Bendewald is a Way of Council Facilitator, certified through the Ojai Foundation in Ojai, California. She offers Way of Council Circles to elementary schools, professional organizations and for personal enlightenment. Andréa is a Founding Parent of the Larchmont Charter School whose mission is to provide a socio-economically, culturally and racially diverse community of students with an exceptional public education. Andréa also experienced success in Hollywood as an actress appearing in such fan favorites as Employee of the Month, One Night at McCool's and Suddenly Susan, and a host of television shows including Two and a Half Men, Entourage and Friends. Andréa has been leading Women’s Self-Empowerment and Celebration Circles since 2004. Hundreds of women, from all walks of life, have found their way to Andréa’s circles and many have experienced radical transformations in both their personal and business lives. She uses The Art of Circling to create a deeper relationship to the authentic self, build community and support, and experience a sense of oneness that strengthens the spirit. Circling has been proven to benefit women’s health and change women’s lives. Women thrive when they circle, they blossom when they share their stories and they begin to create the world they’ve been dreaming of. Andréa has turned her extraordinary love for circling into a way of life, changing the world, one circle at a time. Andréa resides in the heart of Los Angeles with her husband and two children. From strawberry shortcake to home furnishings to a fitness business, Melody has trotted down virtually every entrepreneurial trail in existence. With 23 business ventures under her belt — a few of them even successful! — you might call her a lifelong “start-up junkie.” Her current entrepreneurial love-child is Urban Campfire, a movement to create a different conversation, produced by the CRAVEcompany. CRAVEconnects savvy business women through networking events, symposiums and a series of smash-hit city guides. Author of CRAVING Success: a startup junkie's path from passion to profits. Includes 132 tips for ambitious entrepreneurs. 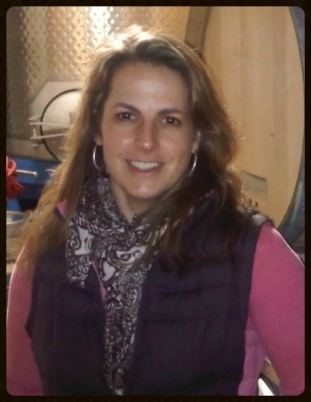 Tami has helped to create the best of what our vineyards have to offer. A glamorous job it is not, but the blood and sweat are worth it at the end of the day when we can enjoy a great bottle of wine with friends and family… and certainly when it means the wine she has created gets another gold medal!! Photojournalist and businesswoman Cyndi Finkle is now applying her creative attention and business acumen to the growing of Art Works Studio & Classroom www.artworksstudio.org after spending the last 15 years building a successful craft services company called Sunday Night Dinner. She is also writing a book called Practical and Meaningful – you can read her blog of the same name at http://practicalandmeaningful.typepad.com She lives in Los Angeles with her husband Temple, daughter Sully, and dog Daisy.